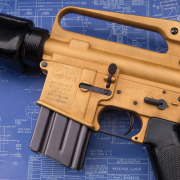 The Honey Badger is probably one of the most iconic firearms of the day. So much so that it has even infiltrated video games and can be found in Call of Duty. But what is it? It is the original 300 Blackout PDW (Personal Defense Weapon). Though in fairness, it was designed originally for a […] Read More … The post The Most Iconic 300 Blackout: Q’s Honey Badger appeared first on The Firearm Blog. When it comes to the failures of the AR-15 locking mechanism, you normally see the failure of the bolt. I bet you have seen bolts with one or two or as much as all seven locking lugs sheared. 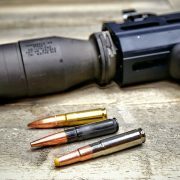 In this article, we’ll take a look at something different – a rather rare barrel extension failure. 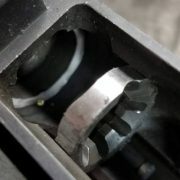 […] Read More … The post Unusual AR-15 Barrel Extension Failure appeared first on The Firearm Blog. 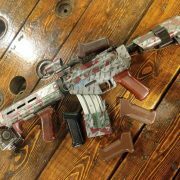 SB Tactical is one of those innovative and forward-thinking companies around the gun industry in my opinion. 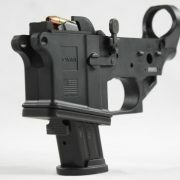 They have given the consumer market a lot of choices when it comes to pistol builds with their AR pistol braces. Now don’t get me wrong, not everything SB Tactical makes is crazy innovative, but overall the level […] Read More … The post SB Tactical FS 1913 Pistol Brace Review appeared first on The Firearm Blog. 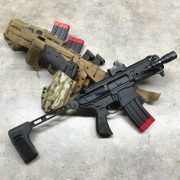 Almost a year ago, Connecticut FFL The Freedom Shoppe got hung up on making firearms with folding braces. Read all about it here. Due to this issue I learned that Connecticut allows for a sort of loophole firearm. It doesn’t have a stock so it can’t be a rifle. And it has a vertical grip […] Read More … The post [Big 3 East] CT Legal Troy Firearm Identifies As “Other” appeared first on The Firearm Blog. Matador Arms has added to their website a new product – the Mag-X (P320). 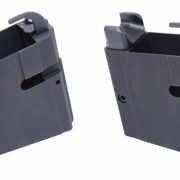 This is an AR-15 magazine adapter that makes it possible to use SIG Sauer P-320 magazines in your AR-pattern PCC. Obviously, this conversion will be especially useful for those of you who prefer the US military’s new sidearm and already have […] Read More … The post Matador Arms Mag-X (P320) AR-15 Magazine Adapter appeared first on The Firearm Blog. 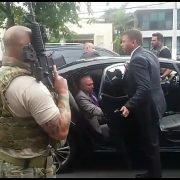 The recent arrest of Brazil’s former President Michel Temer on corruption charges – for the record, he was released some days later- by DPF – Departamento de Polícia Federal (Federal Police Department), while being driven from his home in São Paulo, was a quick opportunity to see one of the weapons in the inventory of […] Read More … The post POTD: Brazilian Federal Police with Bushmaster XM15-E2S appeared first on The Firearm Blog. Following a particularly long (about one year) investigation on the assassination of a Rio de Janeiro city counselor and her driver, civil police agents recently came up with the arrest of two suspects of having committed the crime. 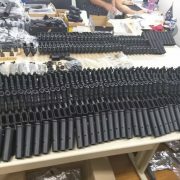 Complementary investigative work quickly led to a search in the house of a person closely connected to […] Read More … The post Most Unusual Illegal Weapons Seizure in Rio de Janeiro appeared first on The Firearm Blog. 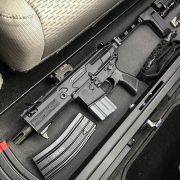 On March 14th of this year, the Connecticut Supreme Court narrowly held that Remington Arms Company could be sued by the families of the victims of the Sandy Hook tragedy. This holding was based on what the court majority called “one narrow legal theory.” What has been decided is that the plaintiffs are “entitled to […] Read More … The post Remington Lawsuit – The Sky Is Not Falling appeared first on The Firearm Blog. 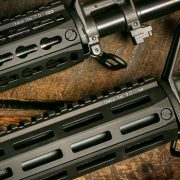 Daniel Defense has announced that the M-LOK and KeyMod versions of their Omega Rail are now available for order. This rail is a drop in part allowing to have a free floated barrel on your basic pattern AR-15 rifles that originally came with polymer handguards retained by the delta ring and front handguard cap. Here […] Read More … The post Daniel Defense M-LOK and KeyMod OMEGA Rails appeared first on The Firearm Blog. 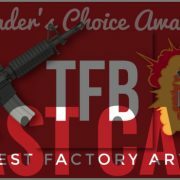 We are getting near the end of the voting phase for the Best Factory AR15, so if you haven’t had the time to weigh in, now’s your chance. We’ve updated the list to include your suggestions as well as a few that we neglected to add from the beginning. 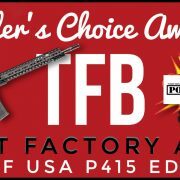 Review the orginal list of candidates, […] Read More … The post LAST CALL – Reader’s Choice – Vote For The Best AR15 appeared first on The Firearm Blog. Thanks to Alex W for sharing his collection of oddball and prototype uppers. I will be honest, I do not recognize most of these. But they look cool. Here is a list Alex posted with his photos. 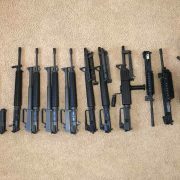 Prototype/oddball uppers -656 -M16a1e1 (complete) -M16a1e1 (just the upper but have the barrel and handguards for it so […] Read More … The post POTD: Oddball Uppers appeared first on The Firearm Blog. There’s a lot you can tell about a person by their firearm choices. For example, if a guy carries an Interarms import Walther PPK or an H&K P7, he’s probably a well-heeled shooter and maybe a little of a Bond or Hans Gruber fan. If he carries a revolver, he’s likely an older gent who […] Read More … The post This Reader’s Gun is a Crime Against Humanity and Represents Everything That’s Wrong in the World appeared first on The Firearm Blog. New Echo Sport Pull & Release Trigger System By FosTecH Inc.
FosTecH Inc. has created the Echo Sport trigger, their second pull and release trigger system for AR-15 rifles. 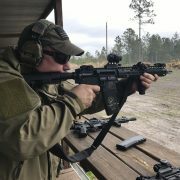 The Echo Sport is different from Fostech’s first version in that there’s an added paddle switch to change firing modes from binary to standard semi-automatic firing instead of using the safety selector like the Echo AR-II. Fostech […] Read More … The post New Echo Sport Pull & Release Trigger System By FosTecH Inc. appeared first on The Firearm Blog. 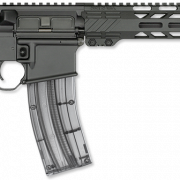 Rock River Arms have introduced a range of three new .22LR AR-style carbines. The rifles represent their entry into the low-cost training and plinking AR market. Three models are now available, the Tactical Carbine, the Mid A4 and the NM A4 CMP Trainer for CMP National Match competitions. 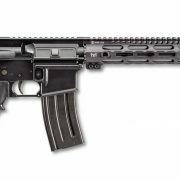 Here’s what Rock River Arms have to […] Read More … The post Rock River Arms Adds LAR-22 to Rifle Lineup appeared first on The Firearm Blog. Anyone following Sons Of Liberty Gun Works might be aware that they had recently made hits on a target two miles away. Well, they’ve since aimed a lot farther, using a 90-degree vertical hold-over. 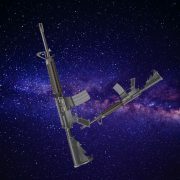 The Sons Of Liberty Gun Works crew posted a video on their Instagram account of a privately launched rocket containing two […] Read More … The post Sons Of Liberty Gun Works Launch AR15s Into Space appeared first on The Firearm Blog. Steyr Mannlicher attended IDEX with a somehow low profile booth in the Austrian pavilion. 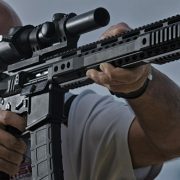 In the small space, they managed, however, to showcase a good selection of their products, from the new A2 pistol in different configurations to the impressive HS50 anti-materiel rifle. 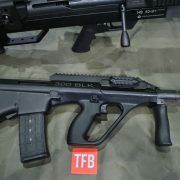 The two most interesting products were, however, an “Americanized” Austrian bullpup and […] Read More … The post [IDEX 2019] Steyr AUG .300 BLK and STM556 from Austria appeared first on The Firearm Blog.